Home » awesome duuuuuuude , back to the future , lego , movies , toys » Roads? Where this LEGO model is going we don't need... roads. Roads? Where this LEGO model is going we don't need... roads. 1-Point-21 jigawatts of LEGO awesome! 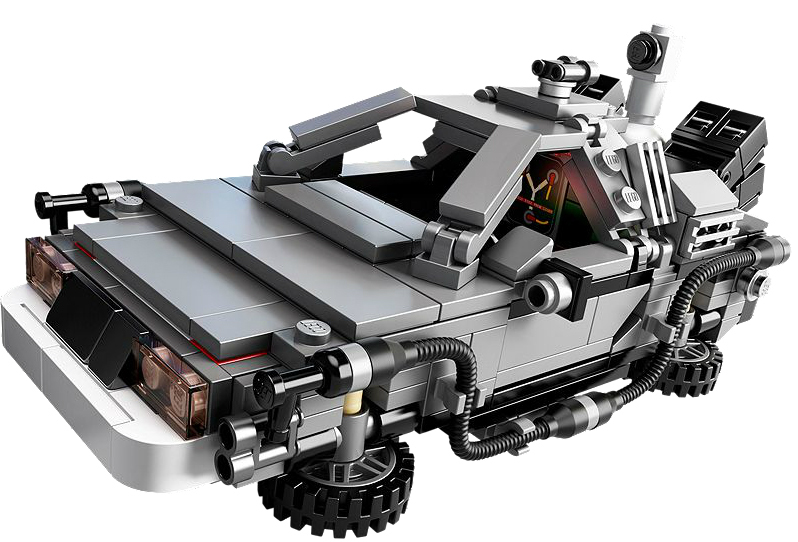 Going on sale worldwide tomorrow at LEGO Stores, toy and other retailers as well as LEGO's online store is this: The DeLorean Time Machine. The fourth model to be designed, supported and approved for official production via LEGO CUUSOO, this minifig-scale replica of Doctor Emmett "Doc" Brown's famous heavy-customized DeLorean from Back to the Future comes complete with options for builders to trick it out for whatever form it appeared throughout the film trilogy (it even includes Mr. Fusion and the OUTATIME and barcode license plates). Unique decal-ed bricks have the Flux Capacitor and the Destination/Present Time LED display. The doors swing up gull-wing style and the wheels swivel into air mode! 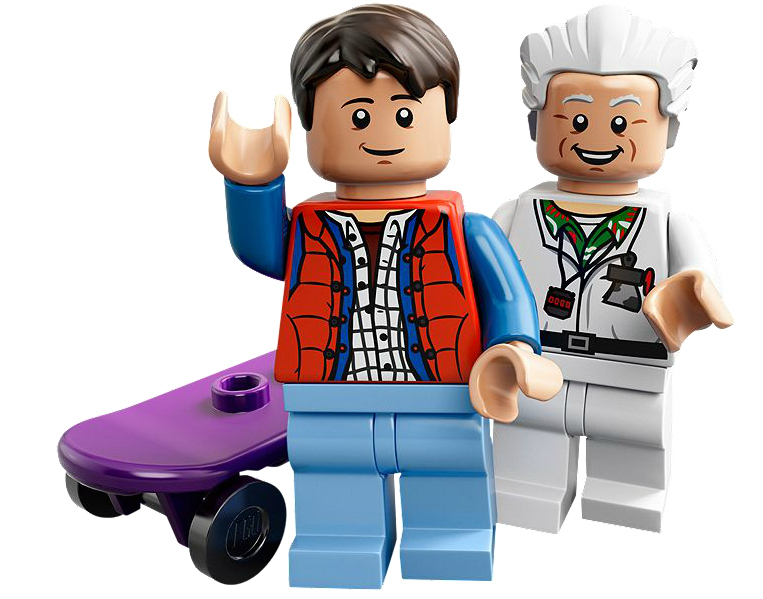 And yes, it even has minifigs of Marty McFly (with skateboard) and Doc Brown! Incidentally, CUUSOO designers who see their ideas on the store shelves get 1% of the profit, and the two guys who collaborated on this model are donating their cut to the Michael J. Fox Foundation for Parkinson's Research. LEGO's Back to the Future DeLorean Time Machine has a retail price of $34.99/€34,99 and streets on August 1st, both at brick-and-mortar stores and online at the LEGO Shop. Go get it. You know you want to. LEGO should make more BttF sets and the next one could be Biff with car and manure truck!